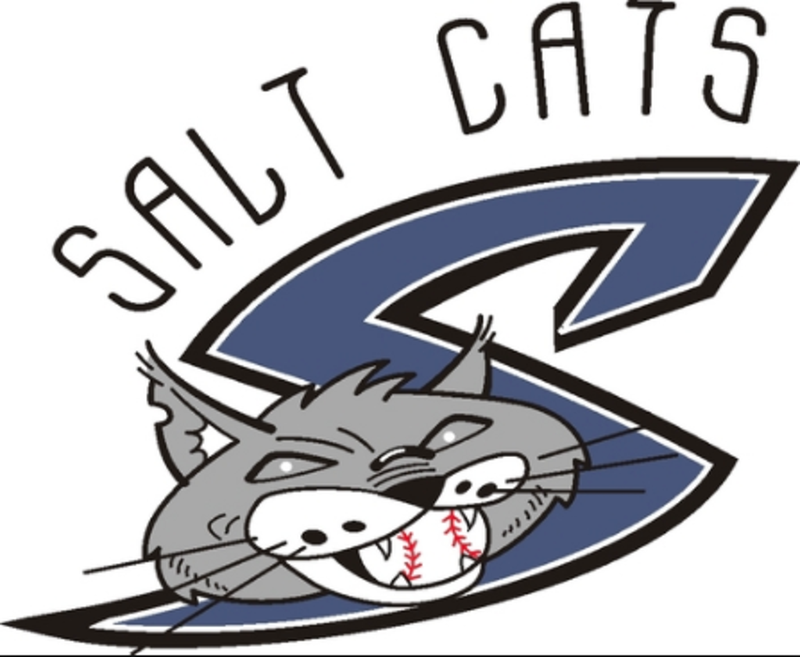 The Salt Cats came into the NYCBL in 2010 after playing in the Eastern Collegiate Baseball League for two seasons. 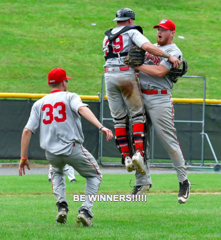 We have had several players from several Colleges and Universities located throughout the United States and Canada and have enjoyed the experiences and quality of the soon to be 41 year old New York Collegiate Baseball League. 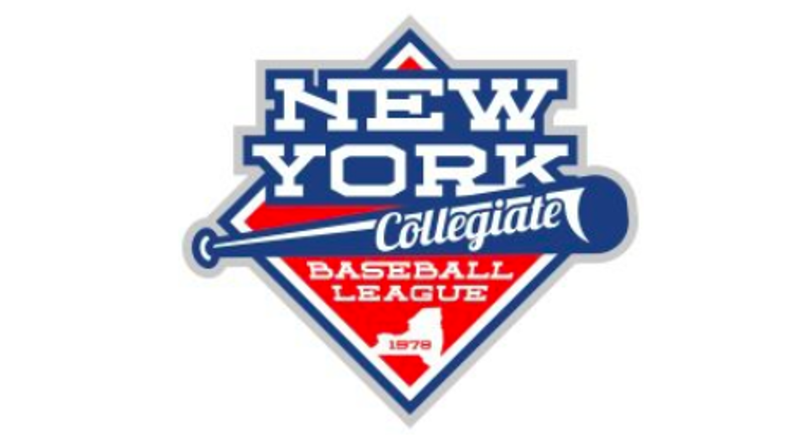 The NYCBL is one of the most historic Collegiate Summer Baseball Leagues in America and is funded by Major League Baseball. All members of the NYCBL belong to the National Alliance of Collegiate Summer Baseball and are governed by NCAA rules and regulations. The league is partially funded by Major League Baseball. 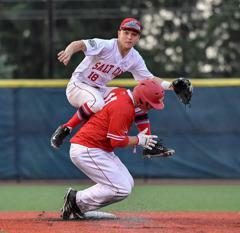 The Salt Cats are one of the most active multi-media teams in the NYCBL! STAY CONNECTED WITH THE SALT CATS ALL SUMMER LONG! Syracuse Salt Cats Official Facebook Link: https://www.facebook.com/syracuse.saltcats. SEE 2019 SCHEDULE IN THE SCHEDULE/RESULTS TAB....EXHIBITION GAMES ARE NOT YET LISTED. Tom Signore enters his second year as a member of the Salt Cats coaching staff. Tom attended North Haven High School in North Haven, CT playing for legendary Connecticut High School Coach Bob DeMayo. Tom attended Quinnipiac University in Hamden, CT and earned his BA in Psychology and attended Western Connecticut State University in Danbury, CT as a Graduate Assistant with the Baseball program and earned his MA in International Relations/Modern American History. Tom was inducted into The Quinnipiac University Athletic Hall of Fame in 1994 as an individual and a second time in 2016 as The 1983 Quinnipiac University team that advanced to the Division II College World Series was inducted. Tom’s playing resume includes four years at Quinnipiac University, one year professionally in The Milwaukee Brewers Organization with their affiliate in Helena, Montana, and a season in the Royal Dutch Baseball Federation with perennial power Neptunis, located in Rotterdam, Holland. Tom started his coaching career on the collegiate level with a two-season stint at Onondaga Community College in Syracuse, New York, two seasons at Flagler College in St. Augustine, FL, one season at his alma mater Quinnipiac University in Hamden, CT before doing his Graduate Assistantship at Western Connecticut State University in Danbury, CT.
Signore then moved onto the professional coaching ranks for nine-teen seasons spending five seasons in the Montreal Expos Organization, two seasons in the Miami Marlins Organization, ten seasons in the Toronto Blue Jays Organization, and two years in the New York Mets organization. 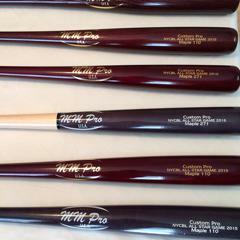 Signore also coached in the prestigious Arizona Fall League with 2007 Champion Phoenix Desert Dogs. Tom and his wife Diana and daughter Ashley live in the Westvale section of Syracuse. The Syracuse Salt Cats 2019 roster is set and is posted above in the Roster/ Bios page! A quick click will get you to the Roster and bios. (Photos of Players are shown below). 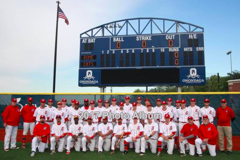 The team will be equipped with speed, power and solid defense as well as a strong pitching staff a which is a yearly staple for the Salt Cats teams. 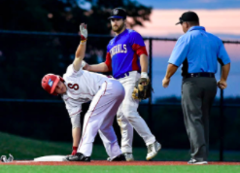 Zander Ferlenda a two time All NYCBL 1st Teamer and two time NYCBL All Star selection from St. Bonaventure has been named Captain with an Assistant Captain to be named at a later date. 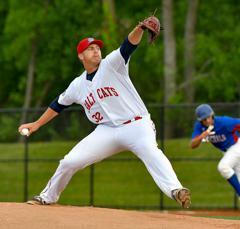 The Salt Cats hope to continue to compete on top of the Eastern Division. The schedule will also be posted over the next several days. 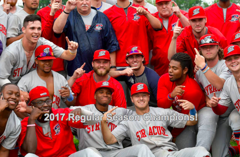 The Syracuse Salt Cats are ready and moving forward towards the summer 2019 season. 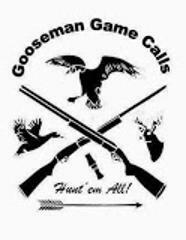 Ticket packages are available as well as Sponsor Packages, both of which can be found in the "Pages" tab in the menu. The team will host several sponsor nights which will be advertised on the website as well as listed in the team game schedule. SALT CATS SIGN DAVID DAVIS - WEST TEXAS A&M UNIVERSITY - AS A GAME DAY BROADCASTER! The Salt Cats have signed David Alexander Davis as a Game Day Live Broadcaster. 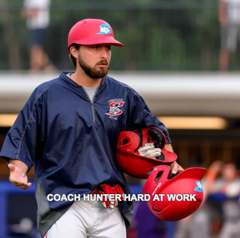 He will handle the live audio and video game broadcasts for the 2019 summer season as well as handle the social media and post game live interviews. David grew up in the small town of Panhandle, Texas. He is currently a senior at West Texas A&M University where he is majoring in Broadcasting/ Electronic media. David hopes to one day use this degree to work in and around the world of sports T.V. and radio media. Check Teamline for information on Salt Cats game broadcasts. 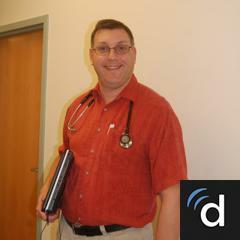 Brian grew up in Cortland, New York. He is currently a Junior at Ithaca College majoring in Sports Media with a concentration on Television broadcasting. Brian hopes to go on after graduating from Ithaca to become a play-by-play announcer in baseball, or to work in the production of live sports. Brian is beyond excited to join the Salt Cat's Broadcast team and can't wait to get behind the mic. Nick is an aspiring sports broadcaster with five years of hands-on experience in radio, TV, newspaper, directing and producing, editing, play-by-play and running his own sports website, podcast and video talk show. He has called play-by-play, color commentary and sideline reporting for women's volleyball and men and women's basketball at Ithaca College. This included calling a regional part of the NCAA D-III women's volleyball tournament that included 5 games in 3 days. He assists Cornell Athletics with their ESPN+ broadcasts. His responsibilities include: Camera operator (top shot and follow shots) and graphics. He has worked mostly on men and women's hockey and basketball broadcasts. He hosts a now weekly hour sports radio show from 8-9 AM ET on Sundays that talks about the biggest headlines from NFL, NBA, MLB, NHL and soccer. He also manages three other people who work on managing the soundboard, social media and researching. He helped create on-air segments and train them across all three positions. The Salt Cats have added Hannah Stanski (Lemoyne College) to the Game Day Operations Staff. Hannah is a mathematics major at Le Moyne College from Fayetteville, New York who loves the game of baseball. Her career aspirations are to work within professional baseball operations or sabermetrics, and believes that she needs to know all of the aspects of elite level baseball before she can do that effectively. By working this internship, she will have an excellent opportunity to learn more in the area of baseball analytics. She recently did a senior thesis on baseball analytics using Principle Component Analysis (PCA) to compare and group players using various offensive styles of play. With this knowledge she will be working with the club in Game Day Operations as well as baseball scoring, analytics and overall statistics concerning the 2019 season. The 2019 Salt Cats are currently looking to fill the Game Day Operations Staff. Any student interested in doing an internship as a Game Day Operations Staffer will be welcomed. Email mmarti6044@yahoo.com if interested. The Salt Cats have brought in David Cerqua a Volley Ball Player at St. John Fisher College. He is a sophomore Sport Management major from Baldwinsville New York. He participated in three sports in high school, playing, volleyball, basketball and baseball. 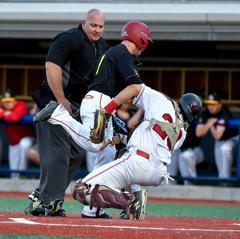 He was voted defensive player of the year for the empire 8 conference as a freshman at St.John Fisher College. He is also a beach volleyball referee. We welcome him to Syracuse Salt Cats Baseball Club. 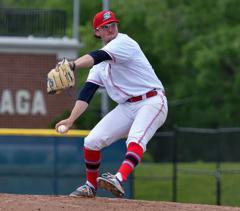 The Salt Cats have brought in former closer Kyle Naugle (SUNY Onondaga/SUNY Cortland) as a Game Day Operations Staff member. He will work primarily with game day set up, marketing, daily administration and will assist the coaching staff as needed. Kyle is currently a Senior at Cortland State. Rocco Leon, a Junior at SUNY Oswego, and currently an Infielder on the Lakers 2019 Baseball team has been selected as a Game Day Operations staff member. He will handle pre and post game duties on field and will assist the coaching staff and administration on a daily basis. He will also assist our statistician and media delivery. Rocco hails from Liverpool New York . The Syracuse Salt Cats will once again volunteer at the Samaritan Center in Downtown Syracuse. The players will provide volunteer service and helped serve breakfast to those in need. They will set up tables, serve the meals and clean up. 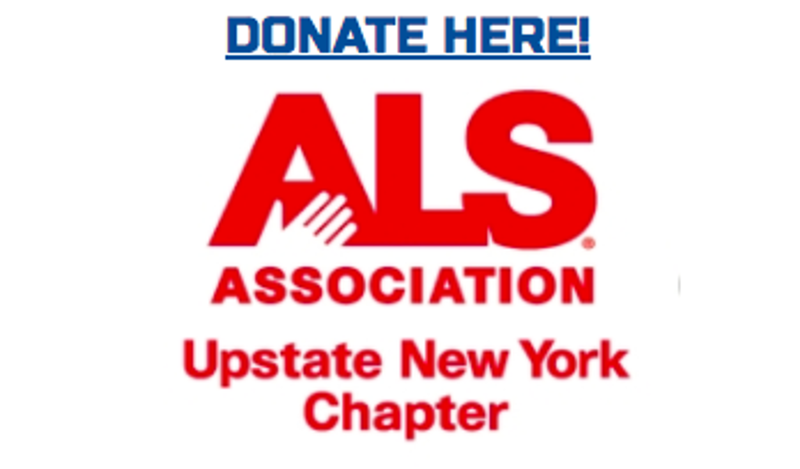 We in the Salt Cats Organization welcome the opportunity to serve our community in the best way possible. 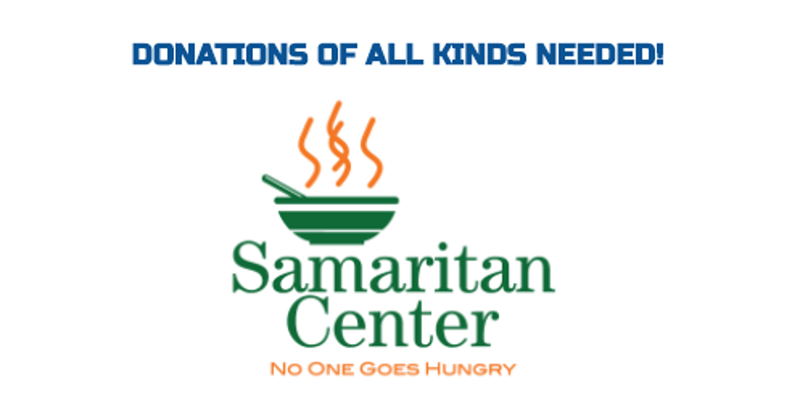 We appreciate our relationship with the Samaritan Center and the opportunity to give back to those in need. The Syracuse Salt Cats will announce the 2019 Sponsor Night schedule some time after January 1st. Please stay posted. Click Here to check out the schedule of gameday sponsors, and we truly thank each and every one of them for their support of the Salt Cats! More information about sponsorship opportunities can be found on our website under the Support the Cause section. 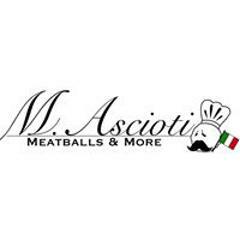 Thank you sponsors! The 2019 Syracuse Salt Cats will host the 2ND ANNUAL Salt Cats "Alumni Night" on Saturday July 20, 2019. Pre game festivities with on field photos will begin at 515pm. ALL Former Salt Cats Players and Staff are invited to attend this event. Former Broadcasters may join our broadcasters to call an inning and have some fun. Please join us as we host this event. Feel free to come to the game on Friday July 19th as the Salt Cats take on the Syracuse Spartans for warm up of the July 20th "Alumni Night"! Email the team or call for hotel info! 2017 REGULAR SEASON EASTERN DIVISION CHAMPS! Syracuse Salt Cats Baseball Club, Inc.
MEET YOUR 2019 SALT CATS! 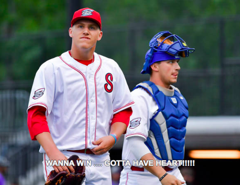 ©2019 Syracuse Salt Cats / SportsEngine. All Rights Reserved.